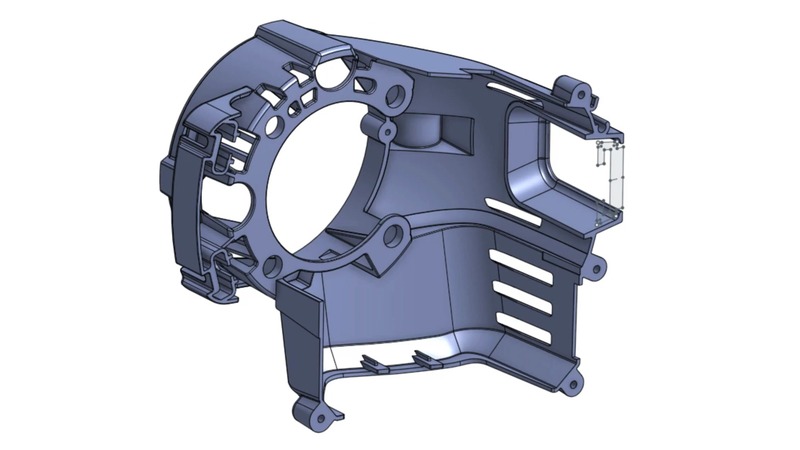 We’ve taken a broader look at Onshape and even talked about some lesser known Onshape features. The company is pouring out an update every few weeks – some big, some little – that, combined together, speak to the agile nature of the company and how they develop solutions around someone’s ability to install and understand their software, but also how teams manage, analyze and collaborate on their projects. You can see the history and catch the latest updates on the Onshape What’s New page, but we’ve had some interest from readers and discussion around keeping closer track of the Onshape features, breaking down the latest, pointing out our favorites and highlighting the ones we think push ahead product dev for CAD in the cloud. We’ll attempt to have a ‘Top 3 Onshape Updates’ and a quick overview of the others. Tell us which one you like the best, which need work, or if we picked the completely wrong features! Move Face Up to Entity – Yes! Specify an entity to move up to with an optional offset. Copy/Offset Surface – Yay! You can now copy surfaces or create offset surfaces using all the capabilities of the Move Face feature. Sweep Path – Yawzow! The profile plane can intersect the path at any location with a sweep path feature. @mentions – Use ‘@’ and a user’s name to comments to automatically share and notify other people. Custom Properties – A new custom property editor to modify properties, add new custom properties, or set up required properties. Add Properties to Notes – Custom Properties can be added to drawings as notes or in a title block. Measurement Precision – Click and view display precision that is matched to the document settings. Threads, Sharps and Quadrants – Better display and selection options for these items. File Import – Support for SolidWorks 2017 and CATIA V6R2016x. You can see videos that breakdown each new features here. So, what do you think? Good set of updates? It was hard not to put the new sheet metal updates and custom properties in the top 3. Ask questions and talk about Onshape on SmackTalk! Our new community site!